Tags: beaded, gold necklace, hematite, pendant. 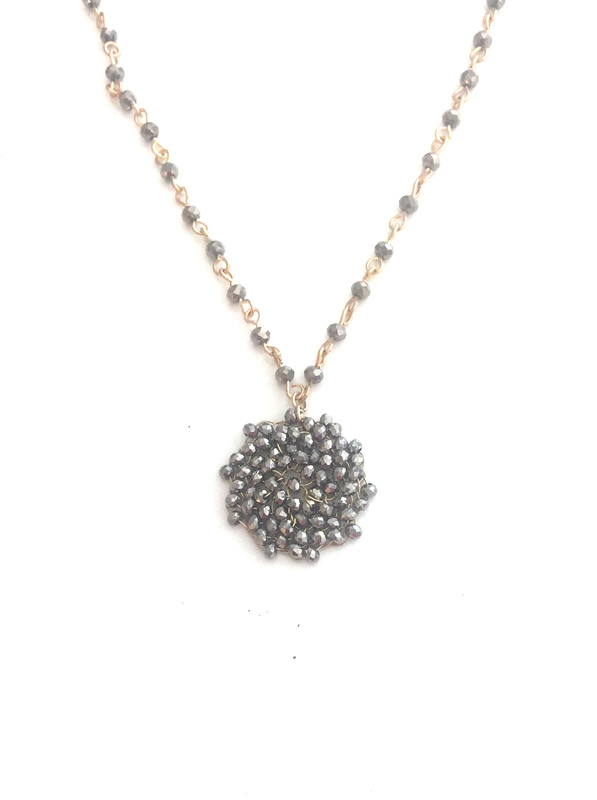 Our Hematite Beaded Pendant Necklace features miniature black beads threaded through gold wire into a wreath-like spiral pendant. Pendant circumference measures approx 1 inch across. This pretty necklace pairs well with any casual outfit to give it a little something extra to spruce up a plain top or blouse. 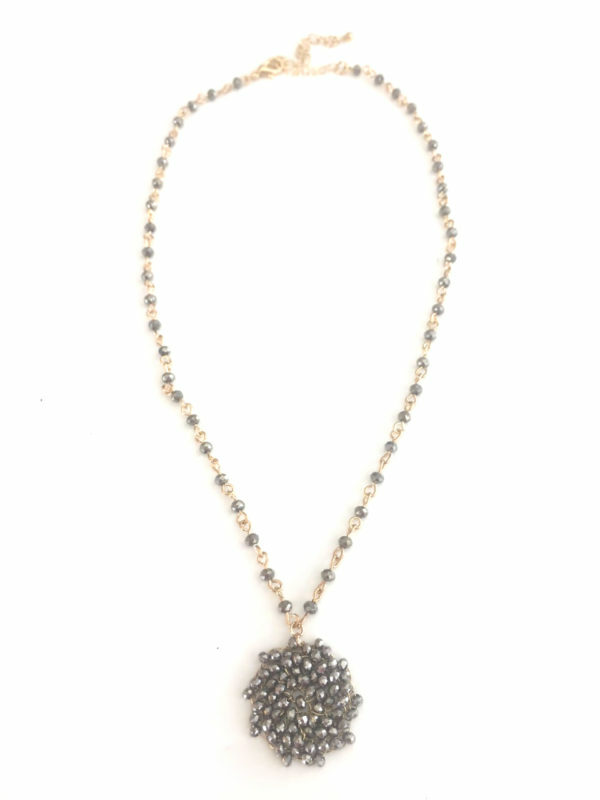 We take it up a notch by including it on a coordinating beaded chain. The gold plated chain comes with lobster clasp and extender.